Military officer, Mayor of Winnipeg (1925-1927, 1930-1934), MLA (1933-1936), MLA (1937-1940). Born on a British liner sailing between England and India in 1886, son of Mr. and Mrs. H. Webb, he was educated at Westminster (England). He came to Canada in 1902 and to Winnipeg in 1906. He operated his own lumber business until he went overseas in August 1914 as a lieutenant. He had a distinguished military career in the First World War, winning the Military Cross, the Distinguished Service Order, and the Croix de Guerre. By December 1917 he was a Lieutenant-Colonel commanding the 47th Battalion. Upon his return to Winnipeg in the 1920s he managed the Marlborough Hotel. He was noted for attempting to attract conventions to Winnipeg and for publicizing the city as a tourist destination. He was Mayor of Winnipeg from 1925 to 1927 and from 1930 to 1934. 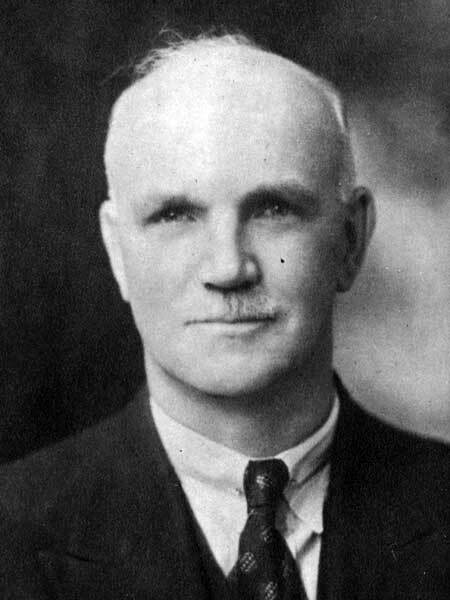 He was elected MLA in 1932 and re-elected in 1936. In 1939 he was appointed to organize the Canadian army’s catering and messing services, and he spent the Second World War in the quartermaster-general’s department at Ottawa. In 1908, he married Maud Summer, with whom he had two daughters and a son. He died at Ottawa, Ontario on 1 June 1945 and was buried in Winnipeg’s St. John’s Cemetery. He is commemorated by Webb Place in Winnipeg and the Rawebb siding on the Wekusko Subdivision of the Hudson Bay Railway.